Mistakes are easy to make when building a car. There are endless sources of information out there on virtually every topic possible. A few of them are rock solid but the majority of them are, well, not. So how do to make the right decisions on vital systems that you car’s performance hinges on? Easy, you go to the recognized and proven experts. 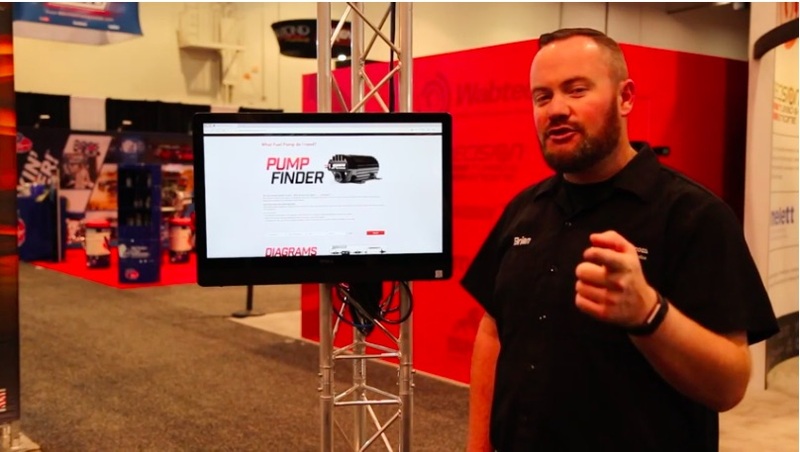 In the case of fuel systems, those people are Aeromotive and the tool they have developed to make sure you have gotten it right is called the Pump Finder and in the video below we walk you through how to use it. Easy as pie! When we are talking about a fuel pump, we are really talking about a fuel system because the pump is only as good as the components it is surrounded with, right? The need for proper filtration, proper regulation, and the correct plumbing is vital to seeing not only peak performance, but longterm, problem-free operation. The Aeromotive Pump Finder is going to use some easy inputs to get your basic information. It will select the right pump for what you are doing and then it will give you the list of every other component you need to make the best fuel system for your application. You can get information anywhere…make sure you get it from the experts and get it right the first time! Hard Landings: Check Out These Smashing Knight Rider Outtakes - Turbo Jumps! Drag Racing Photo Coverage: Carolina Extreme Pro Mod Series Season Opener - Doorslammer Heaven!